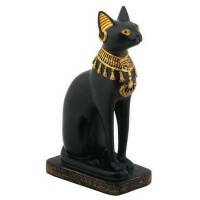 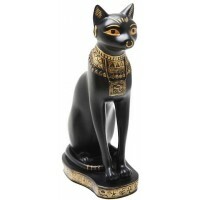 Cats were sacred to Bastet, a sun goddess who represents the warm, life giving power of the sun. 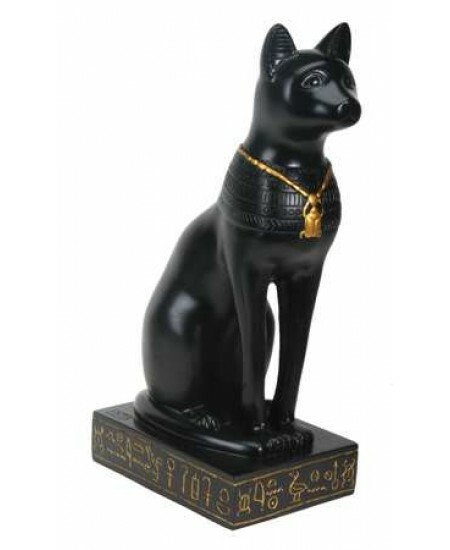 This stunning statue is 8.5 inches. 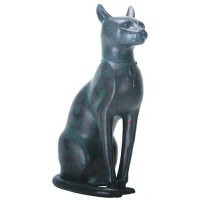 Bastet was known as the goddess of joy and protector of women. 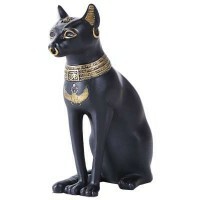 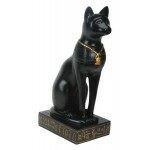 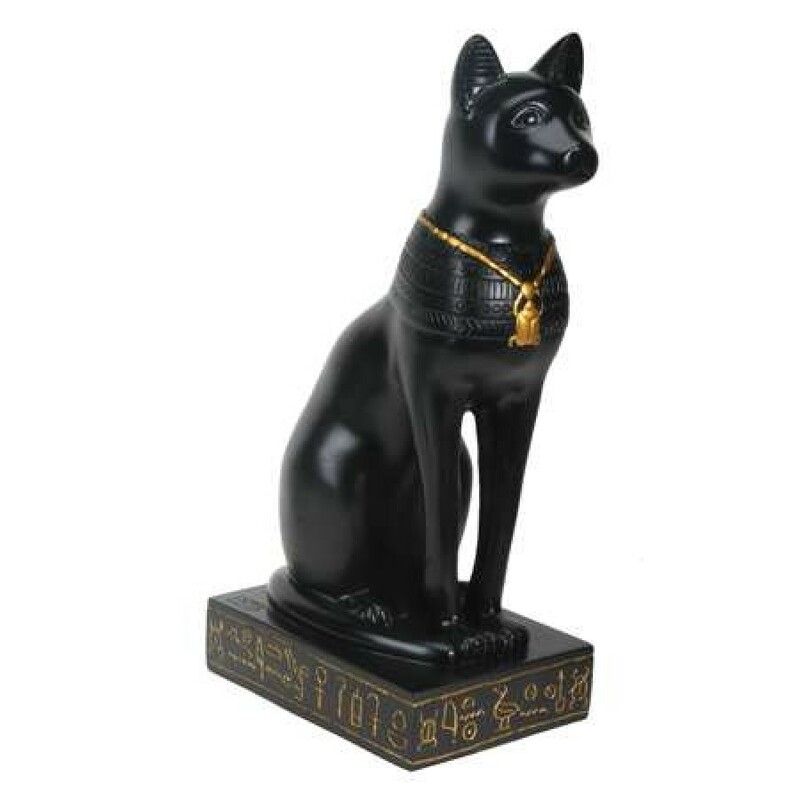 Black cold cast resin statue of Bast has gold scarab necklace and hand painted detail. 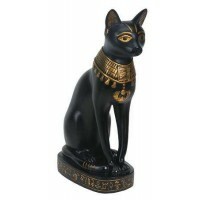 She measures 8 1/2 inches high with stunning detail and heiroglyphic accented base. 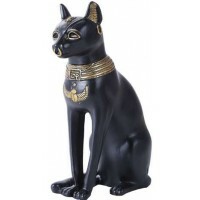 Item Number: YT-8452 | Approximate Size (Inches): 4.25 wide x 2.75 deep x 8.50 high | Approximate Shipping Weight: 2.50 lbs.